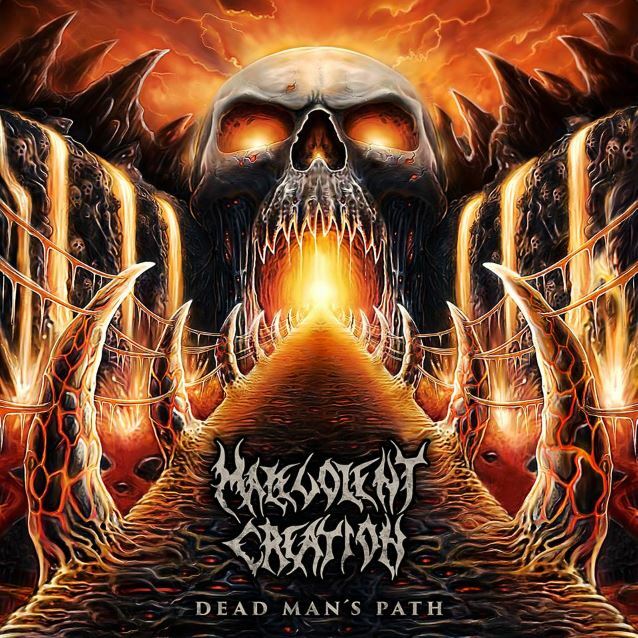 Florida death metal veterans MALEVOLENT CREATION will release their twelfth album, "Dead Man's Path", on September 18 via Century Media. The cover artwork for the CD was created by tattoo artist German Latorres and perfectly captures the evil vibe of the album. MALEVOLENT CREATION vocalist and founding member Bret Hoffmann previously stated about the band's new record deal: "It feels great to have the guys at Century Media believe in us and our new songs, and really want to stand behind them and the band, and push us forward to bigger things! I mean, I think we have always been a bit underrated (I hear that from a lot of fans too) and I really think with this signing, we have a great chance to boost this band up!!! It's also a pleasure to have drummer Justin DiPinto back in the fold! He brings the hungry aggressive quality this band has always had back to the forefront!" 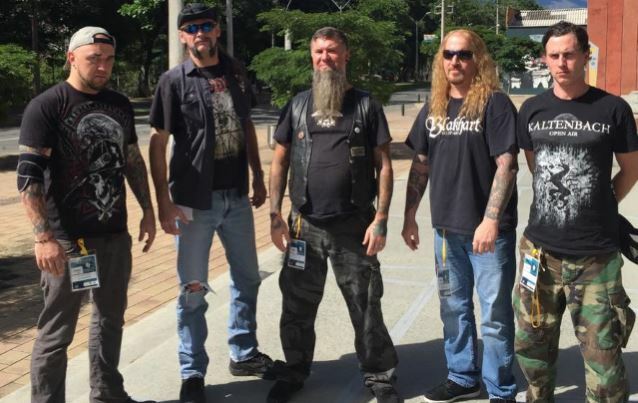 Added MALEVOLENT CREATION guitarist and founding member Phil Fasciana: "I couldn't agree more with Bret's comments concerning signing with such an established record label (Century Media) and having the confidence of knowing we are working with a company that believes in our band's music and will get it distributed worldwide properly." He continued: "Along with guitarist Gio Geraca, bassist/founding member Jason Blachowicz and returning drummer Justin DiPinto, we no longer have the word 'compromise' associated with band and its music. We have had more than enough time to write, re-write and perfect our new material and deliver it the way we want for ourselves and fans."